Babywearing is the ancient tradition of carrying one’s baby from birth to pre-school years, usually with a carrier made out of local resources, often fabric or leather. It is an ancient art that has been transmitted through generations on all cultures on Earth. This tradition has been lost with the industrialization of most Western cultures. However, in the last decade, babywearing has reappeared in modern cultures and is fully expanding. At birth, newborns will calm down in an environment that reproduces the warmth and wellbeing of the womb. 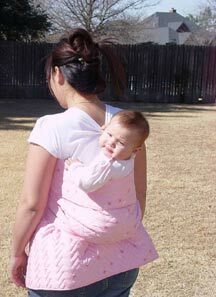 Babywearing acts like an external womb and fulfills the baby’s need for touch and safety. Skin-to-skin care has been shown to enhance baby’s neurological growth. More and more medical and anthropological studies demonstrate that newborns are meant to be worn and that babywearing has benefits not only for the mother and the baby, but also for the surrounding entourage. Babywearing is available for all families and all budgets. It allows the parent to continue activities of daily living while attending to the baby and responding to the baby’s need for warmth and touch. The carried baby observes the world from an adult’s standpoint and participates in the family’s daily activities while feeling safe and held. The baby will often fall asleep while being worn, using the wearer’s sways and rhythmic walk which reminds him of intrauterine life. Babies can be carried from birth until age 4 or 5 depending on the wearer’s endurance. 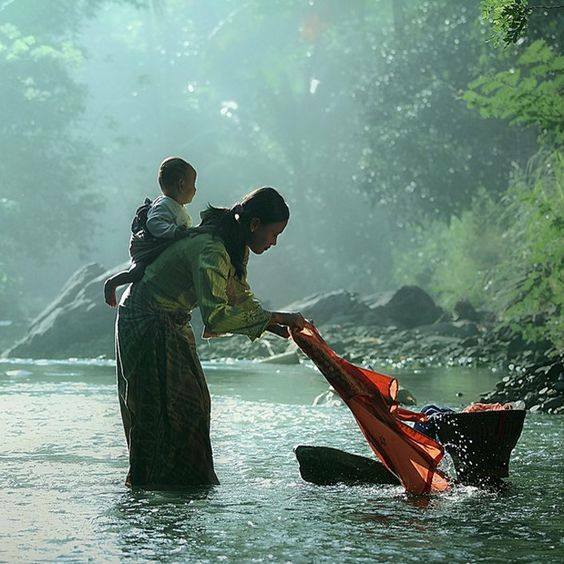 In many non Western cultures, babywearing did not disappear and children are regularly worn until the school years. The babywearing world has in full expansion for the last decade. It is easy to get confused. Every mother-baby dyad has a certain lifestyle and certain ways of incorporating babywearing, so a carrier that suits one family may not suit the next. 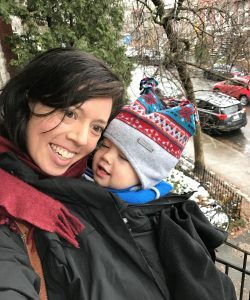 Babywearing needs change whether you are a suburban family with a car or a downtown family using mass transit. As well, the child’s temperament may dictate how babywearing happens. 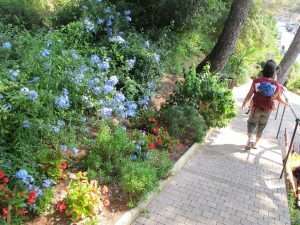 It is therefore not unusual that a babywearing family ends up with several carriers for different occasions. The simplest way of figuring how babywearing fits in your family’s life is to attend one of our community workshops. You will then be able to try the carriers and figure out what suits you best.